We bounce between Richmond and Charlottesville Virginia. Moonwalks, bounce houses, jump houses, moonbounces. Common terms for the square shaped structures that kids jump and play in. They typically will come in 13x13 and 15x15 sizes. We have even seen some lately that are 11x11. All of Benham's Bounceables moonwalks are 15x15 and have an inflated step on the front for easy entry and exit. 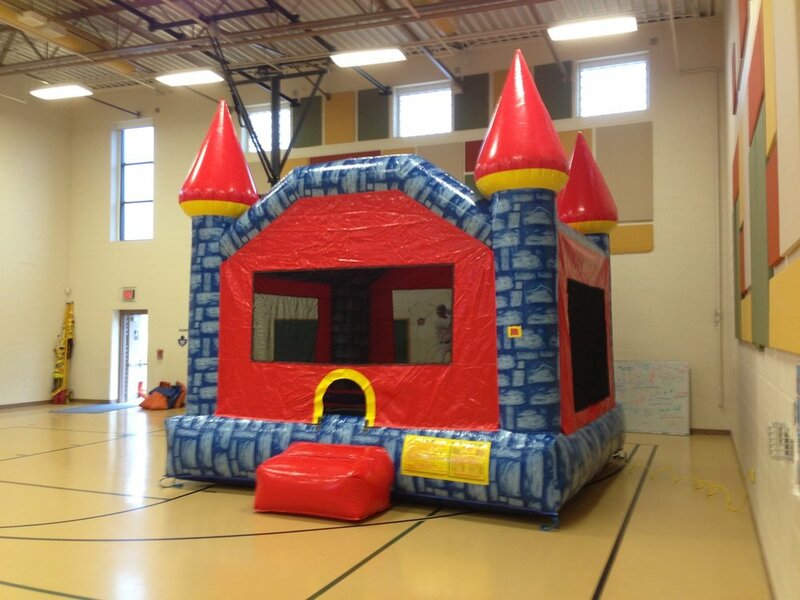 Depending on the size of the children this size moonbounce can accommodate up to 8 kids at one time. All of the bounce houses, with the exception of our Bulldog and Frog have a cover to keep the sun off of everyone on this blazing hot days. The Bulldog and Frog have an open top so you would want that to be in a more shaded area if possible.